Seven weeks after the trial over the suit the Justice Department brought to stop AT&T's purchase of Time Warner began, the two sides have made their final pitches to the judge who will decide the fate of the $85 billion deal. In a post-trial brief made public Tuesday, Justice Department attorneys told the judge, Richard Leon, that if he approves the deal he should do so only on the condition that AT&T sell off either its satellite television company DirecTV, or Time Warner's Turner networks, a group that includes CNN, HLN, TBS and TNT. "The appropriate relief here is structural—either a permanent injunction of the proposed transaction, or a targeted divestiture," the government's attorneys wrote. "The evidence at trial demonstrated that the bulk of the anticompetitive effects flow from the proposed combination of Turner with DirecTV." Leon had asked both sides to dedicate a portion in their post-trial briefs to proposed remedies, conditions he could impose on the deal to protect consumers from any sort of possible anticompetitive harm. Antitrust remedies can be either structural, like selling off a portion of a company, or behavioral, like promising not to engage in certain actions or agreeing to oversight. If Leon was hoping for fresh ideas from the two sides, he will likely have been disappointed. The government's post-trial brief asks for the exact remedies it was proposing before the trial even started. 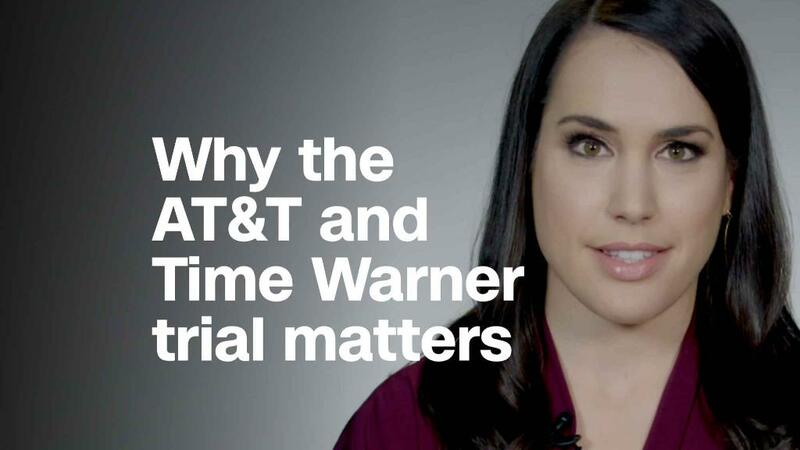 And in their own post-trial brief, made public last week, attorneys for AT&T and Time Warner told the judge they don't believe any remedies are necessary at all, which may be a sign they are confident Leon will find in their favor. AT&T has long rejected the idea of selling either Turner or DirecTV, saying that doing so would completely negate the point of the merger, which the company says is necessary if it is to compete in a fast-changing landscape with competitors like Netflix, Facebook, Amazon, Apple and Google. At one point, according to a report in Vanity Fair, AT&T did consider offering the Justice Department a deal in which it would sell of 20% of Turner and maintain an 80% controlling stake. In its post-trial brief, the Justice Department said that would not be enough and that AT&T should not be allowed to maintain a controlling stake in Turner while also owning DirecTV. The Justice Department sued to stop the merger because, it said, the combined company would harm competition and raise prices for consumers. It contended that AT&T would raise prices for rival TV distributors by threatening to withhold Turner content, which the government contended is "must have" for any television distributor, and that once those rivals either lost Turner content or raised prices, DirecTV would then "steal valuable video subscribers away from" them. In their post-trial brief, Justice Department attorneys also dismissed a key component of AT&T and Time Warner's defense, an arbitration agreement Turner offered its distributors after the lawsuit was filed, as "half-baked." The agreement promises to avoid blackouts in the event of a contract dispute and to settle the disputes with an independent arbitrator. "[A]rbitration would not solve the problem in this case," the attorneys wrote. "Never before has the country faced a merger involving the largest video distributor acquiring content its rivals need, with a nationwide footprint that would provide no benchmarks for arbitration." AT&T and Time Warner have said there won't be any incentive for a combined company to threaten to withhold content or increase prices, because by doing so, it would risk distributors walking away, leaving the company out tens of millions of dollars in ad revenue and subscription fees -- far greater than any revenue AT&T might pick up from customers who would switch to its own pay-TV services in order to get Time Warner content back. Leon said he'll issue his ruling on June 12, though he left open the possibility the decision could come earlier.